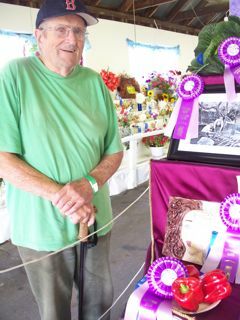 Anne's Notes from the Woodshed: Dad's a Winner! It's Litchfield Fair weekend and we--Dad, Mom, my sister, and I--all put stuff in the Exhibition Hall in hopes of blue ribbons and monetary premiums. 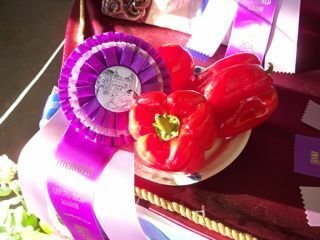 I'll post more pictures the first of the week, but I have to show you Dad's Best in Show red peppers!